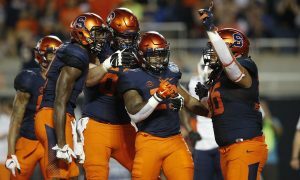 Believe it or not, that’s not what was said when Syracuse football capped its off its first 10-win season since 2001 in December with a win over West Virginia in the Camping World Bowl. It was said, however, when Eldrick Tont Woods sank a bogey putt on the 18th hole at Augusta National to win his fifth green jacket on Sunday. The putt capped off one of the most storied individual comebacks in sports history and returned one of the greatest golfers of all-time to the pinnacle of the sport for the first time in 14 years. It could go down as the best sports moment of the year as a lot of Tiger’s Masters wins have. 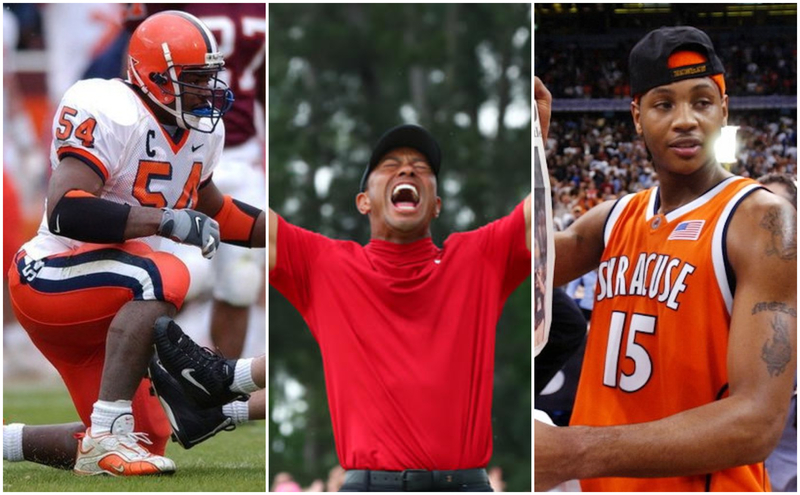 So that got us wondering, in the years that Tiger has captivated Augusta, GA, what moments have left Syracuse fans captivated? 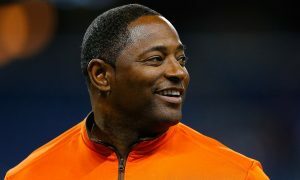 Let’s turn back the clock and then do a little look ahead at Syracuse athletics in the years of the Tiger. Just like this year, Tiger’s first green jacket was an emotional one, but nothing too crazy happened in the Syracuse athletics world. 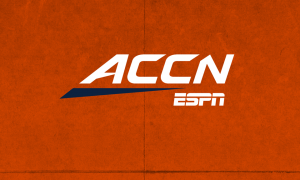 With that being said, the mid-to-late 1990s were a great time to be a Syracuse football fan. The Orange finished each season from 1995-1999 ranked in the AP Top 25 and 1997 was no exception. 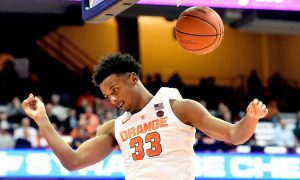 After starting the season 1-3, the ‘Cuse ripped off eight straight wins to finish the regular season before falling to No. 10 Kansas State in the Insight.com Bowl. 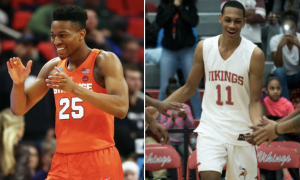 That eight-game winning streak was highlighted by a trio of wins against three of SU’s biggest rivals in a matter of three weeks. The fifth annual battle for the Ben Schwartzwalder Trophy kicked things off with a bang in a dominant 40-10 win over No. 17 West Virginia inside the Dome. 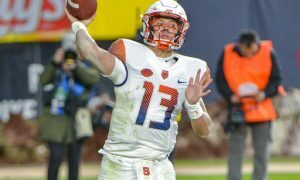 The Orange followed that up with a grind-it-out 20-13 W against Boston College before capping off the impressive stretch in perfect Big East style with a 32-27 slugfest victory over Pitt. Even though the Eagles and Panthers were in the midst of pretty mediocre seasons in ’97, getting three wins over your archrivals in three consecutive weeks is impressive. 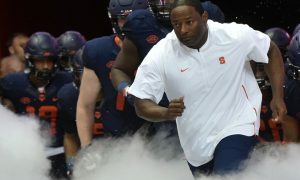 Woods followed up that first green jacket with another one four years later and after plodding through a so-so 6-5 record in the 2000 season, SU football came back with a vengeance in 2001. 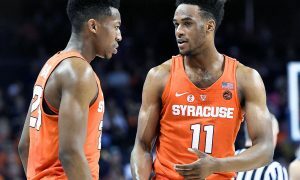 The Orange posted their best record (10-3) since 1992 and a lot of the credit can go to their first consensus first-team All-American since that same year. Dwight Freeney wreaked absolute havoc in 2001. He set a school and NCAA record with 17.5 sacks in 2001 and slid himself into second place in program history with 34 career sacks (Tim Green ranks first with 45.5). At one point, he had a sack in 17 consecutive games. 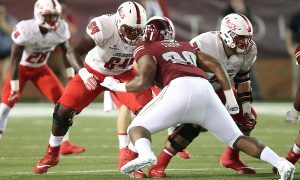 He set an NCAA record for fumbles forced and recovered in a season (8 forced, 3 recovered). 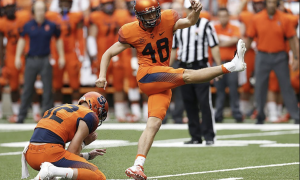 In the Orange’s biggest win of the year, an upset of No. 5 Virginia Tech in Blacksburg, Freeney came up with a key safety that helped secure the SU win. Straight up, the guy could not be stopped and put together one of the most dominant defensive seasons in college football history. If there were ever moments to remember from 2001, it was any time Freeney stepped on the gridiron. 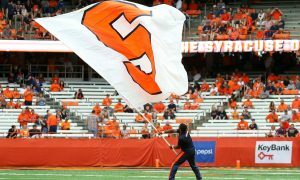 Unlike Tiger, Syracuse football didn’t quite put together back-to-back impressive performances in 2001 and 2002. Paul Pasqualoni and company followed up the 10-3 season with a 4-8 stinker in ’02. The basketball team didn’t fare all that well in the spring of 2002 either, losing in the Final Four of the NIT. 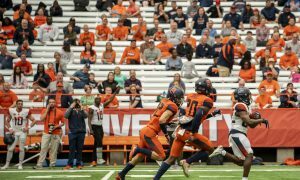 For those reasons among others, it’s necessary to look for Syracuse’s best moment of 2002 in the beginnings of one of the greatest moments in SU athletics history. 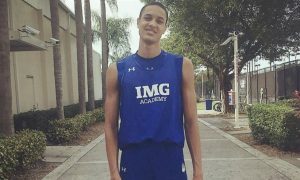 Carmelo could have easily foregone college and headed straight to the NBA after his high school career ended in the spring of 2002. 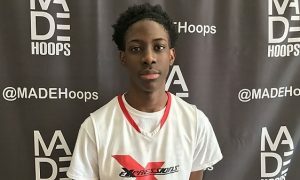 He struggled to qualify academically and even people close to him thought me might make the jump, but instead he decided to head to Central New York. Now that turned out pretty well, didn’t it? Melo averaged 20 points and nearly 10 rebounds per game in six NCAA Tournament contests en route to the Orange’s first and only national title in 2003 and it all started with his commitment in ’02. After winning back-to-back Masters in the early 2000s, it took Tiger a whopping three years to get back to the pinnacle of golf. 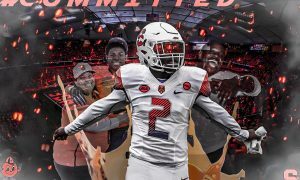 In that time, Syracuse basketball won a national championship and SU football found a new coach in Greg Robinson after Paul Pasqualoni’s firing. That move didn’t work out so well and the football team went 1-10 in Robinson’s first season in ’05. 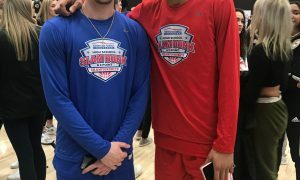 Luckily for them, the basketball team had already put together a pretty impressive run earlier in the year to help ease the pain. 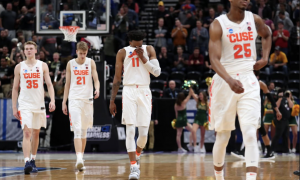 Although Jim Boeheim’s bunch got ousted in the first round of the NCAA Tournament in one of the great upsets in Tournament history, what the Orange had done in the Big East Tournament was still impressive. 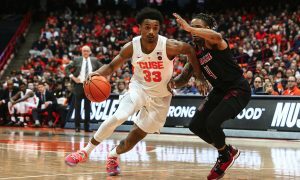 Entering as a three-seed, SU kicked things off with an easy 81-57 win over Rutgers in the quarterfinals. 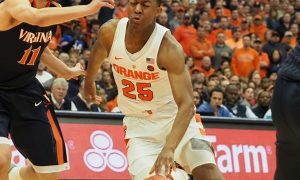 The Orange followed that up with a 67-63 win over #12 UConn which, at the time, was headed up by Charlie Villanueva and Rudy Gay, both of whom wound up being top-10 picks in the NBA Draft. 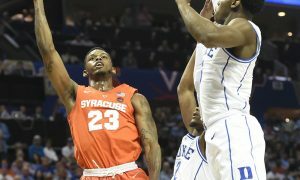 The ‘Cuse capped off their first Big East Tournament Championship since 1992 in a 68-59 win against West Virginia. That, in theory, should have at least helped soften the blow that the football team provided later in the calendar year. After a litany of scandals threatened to derail Tiger’s career, it looked like he may never return to form that made him dominant enough to win those four Masters titles in eight years. That all changed on Sunday as he once again put millions of people around the world on the edge of their seats and defied the odds in Augusta. 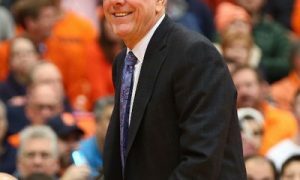 While it’s unlikely Syracuse athletics will display that kind of power this calendar year, there are some opportunities for the Orange to provide their fans with some pretty cool moments. 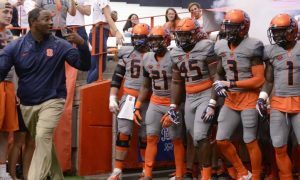 As of now, the two biggest opportunities would come right inside the Carrier Dome in a pair of wild home openers for the Orange faithful. 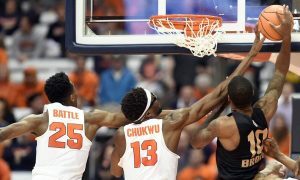 Many signs point to the Syracuse-Clemson football matchup being a likely site for College GameDay and we all remember what happened last time the Tigers came to the Dome. 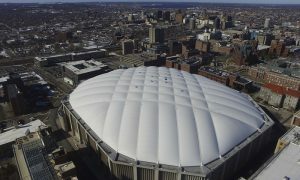 As for the basketball team, well, after disappointing in the first part of 2019, the Orange get an early chance to redeem themselves when they take on the defending national champion Virginia Cavaliers at the Dome on November 6th. 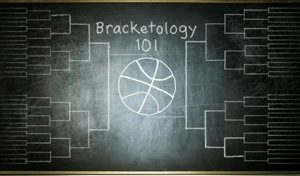 Both matchups may seem like longshots right now, but it seems like when Tiger steps up at Augusta, the Orange find one way or another to step up on the gridiron or the hardwood in that same year, so maybe that’s a sign of good things to come.